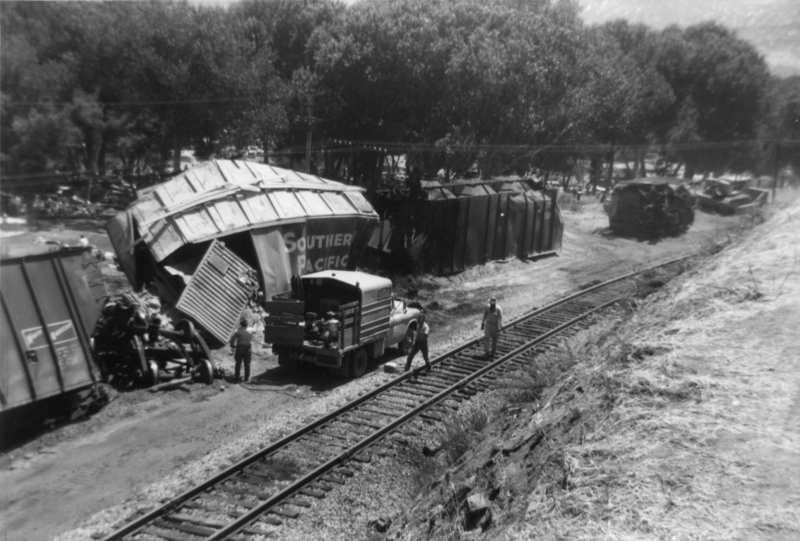 Southern Pacific train wreck in Acton. Date unknown. One in a grouping of film transparencies (slides) shot in Soledad Canyon from 1967-70.